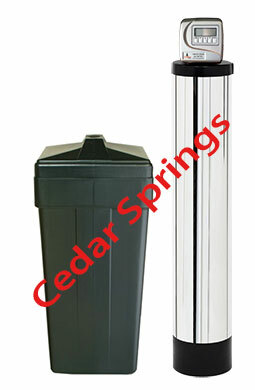 Vaughan residents have trusted Cedar Springs Water for all of their filtration, softening, purification, and water delivery needs since 1986. Only the friendliest drivers deliver the "Best Tasting Water in North America", and our unique TeleWater system allows our clients to ensure that they always have what they need. 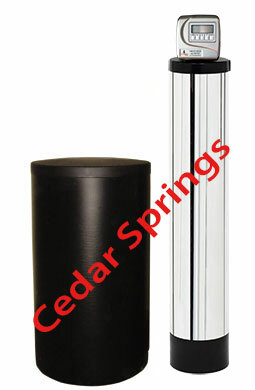 Here at Cedar Springs Water, our mission is to offer the best bottled water and home filtration supplies in the Vaughan area, all while providing the best customer service possible. Our bottled water is naturally free from additives, sodium, and chemicals. What's more, we test every single bottle of our water every day to make sure that it meets our stringent guidelines for quality, safety, and purity. With a home delivery driver in your area every 10 days, you can rest assured that you will receive only the best product with a friendly smile. If you want to clarify the water in your home or businesses, water filtration systems are available, as well. You can install these at the inlet source in your building so they can purify all of the water, or you can install them directly at the tap via an under-sink system. We offer several different water filter systems and water filters, allowing you to choose the products that best fit your needs and your budget. Although the water in your home or office may look and even taste pure, the truth is that there are industrial and volatile chemicals and chlorine in that water. Many of these chemicals leach into the water supply through the ground, and your water company adds chlorine to kill germs and bacteria. Although experts consider these "safe" for ingestion at low levels, why take the chance? Install water purifier systems in Vaughan and get crisp, chemical-free water. 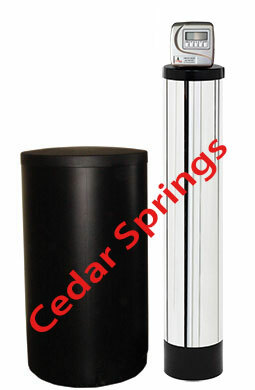 Cedar Springs Water strives to provide you with water that not only tastes great, but also is better for you, whether you drink it or use it to wash your clothes, dishes, or body. We bottle our water directly at the source to provide you with the absolute freshest water for drinking, cleaning, and washing in Vaughan. Finally, we also supply water softeners and products in the Vaughan area designed to remove minerals and metals from your tap water. You may not be able to see them in your water, but they are evident in the film they leave behind on your shower walls and clothes, itchy dry skin, and even soaps and detergents that do not foam as they should. After installing a water softener system, your soaps and detergents work well, your skin is healthier, and your home suddenly becomes easier to clean.